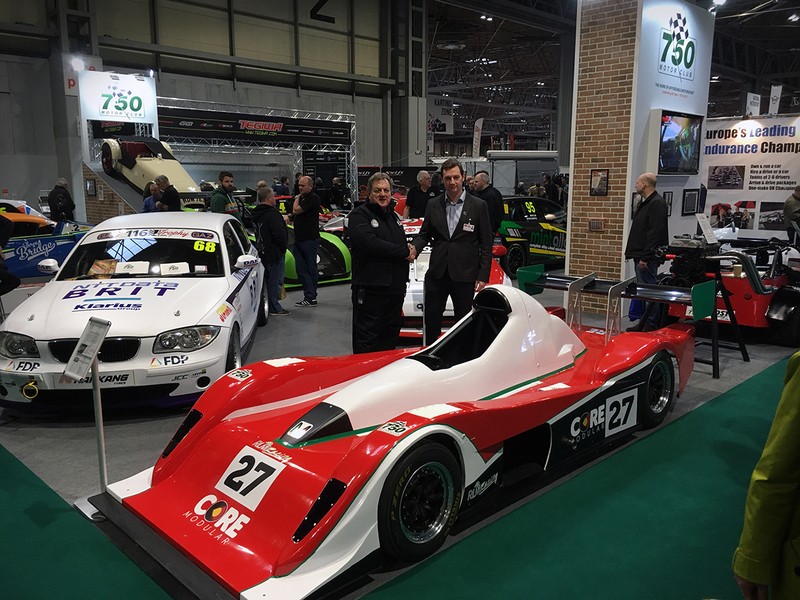 The 750 Motor Club, UK leaders in affordable motorsport, once again had a major presence at the NEC’s Autosport International Show on January 10th to 13th (Stand 2280) where the Club introduced several exciting developments for 2019, with 14 cars on display. The Club has enjoyed a successful 2018 and for 2019 will manage 31 race days for its members. In addition to introducing a trio of new formulae in-house such as a Mazda-engined Locost derivative, Type-R Trophy and the endurance-based 116 Trophy, BMW Car Club Racing gains championship status and F1000 moves over to the 750MC portfolio for 2019. 2018 saw yet another year-on-year growth in the Club’s average grid sizes. The last decade has seen membership nearly double with 750MC racing members now making up almost 20% of National A and B race licence holders in the UK. Today also sees the retirement of the long-serving Club Clerk of the Course Viv Ayres. Viv has been an active clerk for over 30 years and the entire Club thank her for her outstanding commitment and long service in this role. The Club is delighted to announce that one of Europe’s most senior and experienced Race Directors and Clerks of the Course, Bernard Cottrell will be taking charge of race control at 750 Motor Club events for the next two years of competition, and he will also be working to expand the strength and depth of all MSUK clerks working with the Club. 750MC's new Race Director Bernard Cottrell and Competitions Manager Giles Groombridge, pictured alongside the new Mittell Bikesports car at the launch of Autosport International 2019 on Thursday 10th January.